The intent of this Policy is to outline JCU’s commitment and approach to improving student retention according to evidence-based principles that are aligned with JCU’s strategic intent and reflected in institutional plans. This policy applies to all JCU campuses and study centres, modes of study, undergraduate and postgraduate courses, pathways programs and research training. The totality of experiences that a student encounters throughout their learning journey, as they progress from being a prospective student through to the award of a qualification (TEQSA, 2017), and as they intersect with JCU curriculum, peers, academic staff, professional staff, processes, systems, services and requirements (Coates et al. 2017). Institutional leadership uses evidence-based decision making and ensures high-impact retention strategies receive dedicated and stable resourcing. The student experience spans the whole learning journey and is supported by leading edge curriculum, high-impact student support services, and student help-seeking behaviours. Student data is ethically collected, integrated, promoted, understood and used to enhance the student experience and retention. The University Executive, Division, College, Academic Group and Course and student leaders will demonstrate a collaborative and action-oriented commitment to ensuring that JCU students have a high-quality student experience. Retention strategies will be integrated into University, Division and College strategic and action plans with clear targets and areas of accountability for staff and students. Retention strategies will be coordinated, monitored, evaluated and continuously improved. The University, Divisional and College management and academic staff will consider, in their decision making, the barriers and enablers to a positive student experience and student retention, in accordance with relevant policy instruments and the scholarly literature. Aggregate-level student enrolment, retention, satisfaction, achievement and completion data will be monitored, analysed, disseminated and acted upon. 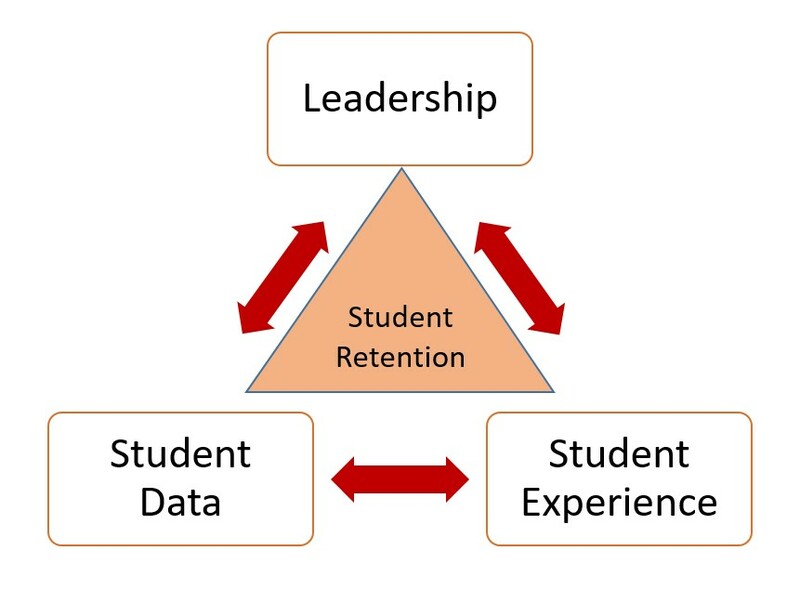 Student retention will be supported across the entire student learning journey from recruitment to graduation. Students will have access to appropriate orientation to the university’s systems and processes, course structure and requirements, and learning environments, regardless of their campus or mode of study. Students will play a key role in co-creating a successful student experience and will be enabled to engage in the university’s academic and social culture and to develop a sense of purpose and belonging. Student retention will be supported by high-quality learning, teaching and assessment experiences and environments, in accordance with the Higher Education Standards, the JCU Academic Plan and JCU academic policies. Student progress and success will be proactively monitored by academic, wellbeing and student support staff and, where required, students will be referred to academic and other support services. Student help-seeking behaviour will be normalised, and there will be opportunity for students to inform and access relevant information and support services in order to develop into resilient, independent learners. Academic and career advice will be provided to assist students to be retained or, where appropriate, make informed decisions about future pathways and to avoid unnecessary debt and/or academic penalty. JCU will ethically collect, link and analyse student enrolment, performance and systems activity data to improve understanding of student needs and their learning experiences. Student data will be presented in accessible formats to meet the needs of a range of audiences, and professional learning opportunities will be provided in order to maximise data interpretation and use. Academic and professional staff have a responsibility to use relevant student data to enhance monitoring of students, and inform course and subject design, review and quality assurance processes. Users of student data must ensure their actions comply with JCU’s ethical obligations and guidelines before seeking to collect data for retention, research or other purposes. Coates, H., Kelly, P., Naylor, R. and Borden, V. (2017). Innovative approaches for enhancing the 21st century student experience. Canberra: Department of Education and Training.